The necklace measures 38 cm long with a 6 cm extender and lobster claw clasp. The earrings measure 5 cm long. Note: Image showcasing this jewellery set on the model, the headpiece is not included in this price. 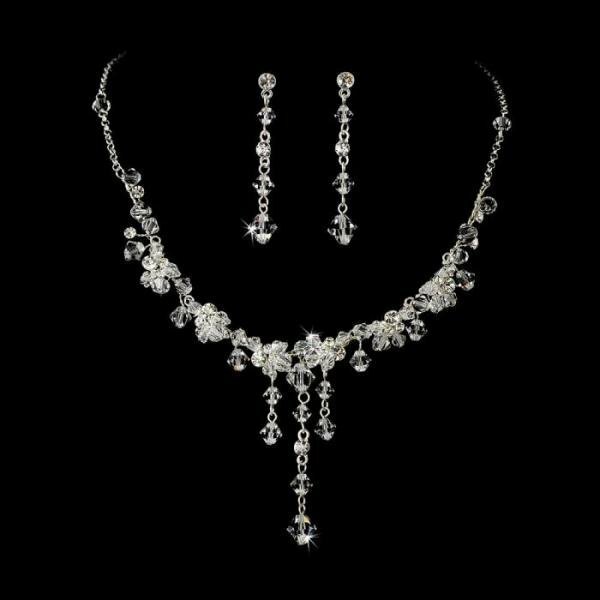 I just love this Bridal Set! The necklace is simple and elegant. The crystals and rhinestones add beautiful light sparkle, perfect for my beach wedding! Im looking forward to wearing it on my Big Day! Thank you!